I’m not a graphic designer, but I’ve found some online tools that make it easy to get professional results without expensive software. For important things like book covers—for fiction, especially—I’d suggest hiring a pro, but for quick promo banners, Facebook or blog posts, or tweets, here are some fun options. All of them offer tutorials. I think they’re worth the few minutes it takes to get you oriented to each site. I’ve been using PicMonkey for about a year now to create my web, Facebook, and Twitter banners. 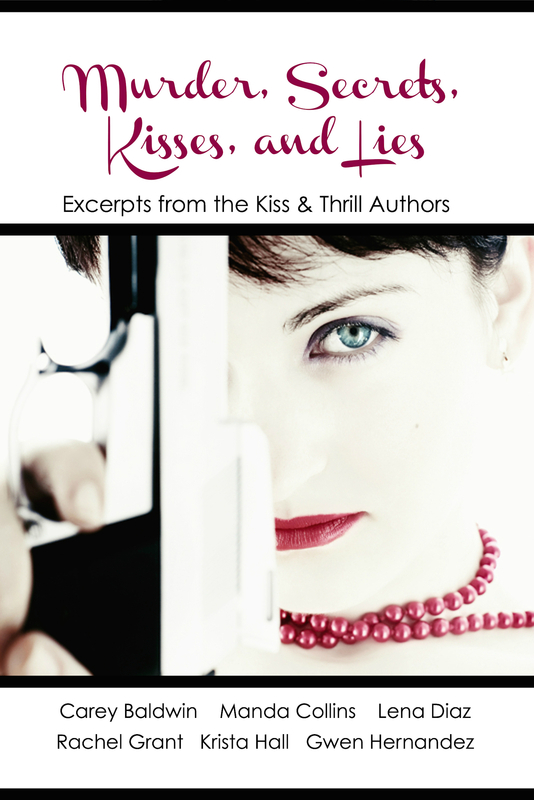 I also used it to create the book cover for Productivity Tools for Writers and an excerpt booklet for my Kiss & Thrill blog members. The free version offers access to royalty-free fonts, overlays, and design elements. The paid upgrade gives you access to everything. Best for: Quickly adding text or overlays to an image and working totally freeform. Also good for creating collages with your own images. 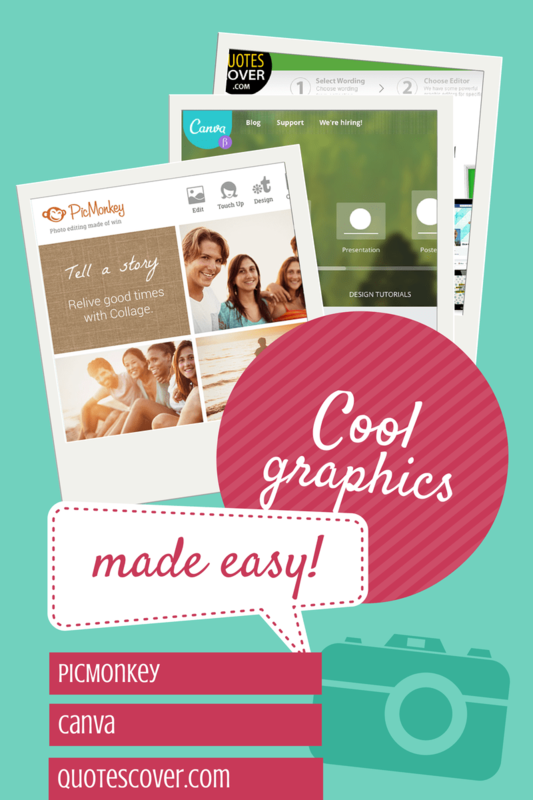 Canva is similar to PicMonkey, but has an easier-to-navigate interface, and includes lots of templates and royalty-free images. You can create a free design (like the one at the top of this post, or below), or use premium elements for $1 each. You only pay when you “publish” (save or share) the final design. 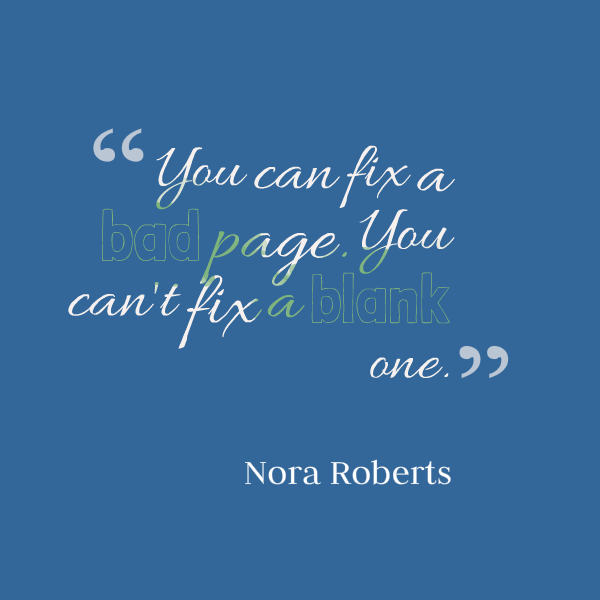 Canva comes with a number of templates for banners, ads, book covers, and more. Best for: Nearly every type of graphic design project, especially those you might want to reuse. Banners and ad designs are quick and easy. QuotesCover is a specialized graphics site for quickly creating meme-worthy quote images. You don’t even have to know the quote you want. Just browse by topic or search by keywords. The text comes out pre-styled, but you can choose from a variety of layouts and fonts, and you can use asterisks to mark words that you want to emphasize. Best for: Quickly creating a professional looking quote-based image or banner. I’m sure there are many other cool online graphics sites out there. What’s your favorite? I recently discovered Word Swag. It’s an app and not an online site, but I love using it because I can use my own images or their background and templates. It’s easy to use and post, and stores the images/sayings you create in your photos file for future use. It’s a different application from the ones you mentioned, but a handy tool for quick social media posts. My pleasure, Gwen! A friend suggested other apps that were free, but I didn’t find them as user friendly or efficient. Great info – thanks! And nice new look here on the blog, too. This is very nice of you to share your little secret and your knowledge. I thank you very much. I will certainly look at these links. Absolutely, Lison. I love to share. 🙂 Enjoy! Excellent info, Gwen! I’ll check out Canva for sure! Wow, thanks so much, Gwen. You must have read my mind, because looking for tools just like these was on my mind just last week. 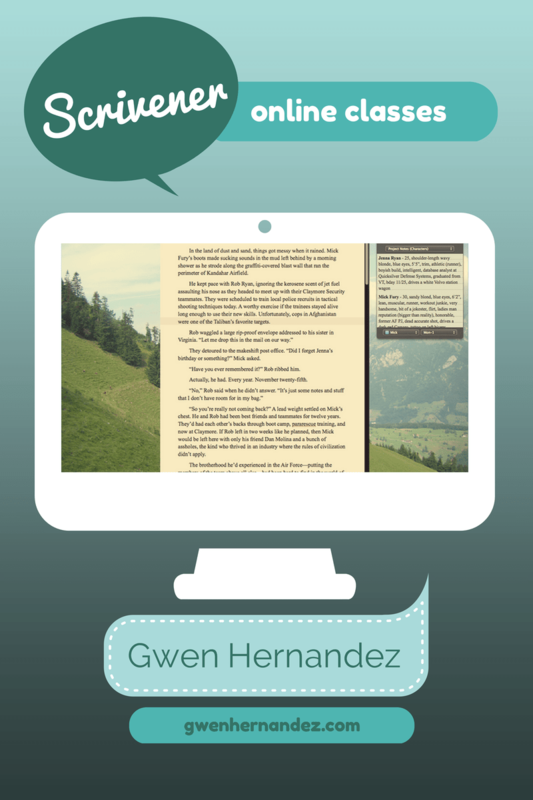 Canva and QuotesCover look great. Thanks for the tip to QuotesCover. I have been having fun playing around with it.